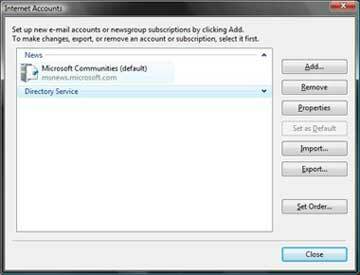 Open Windows Mail. 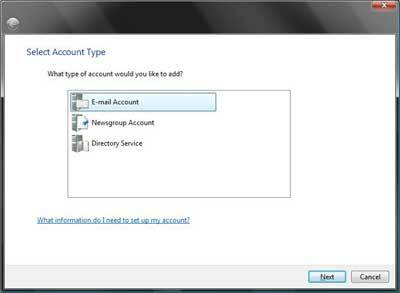 Click on Tools, Account Settings and then Add.Choose Email Account. Then click next. 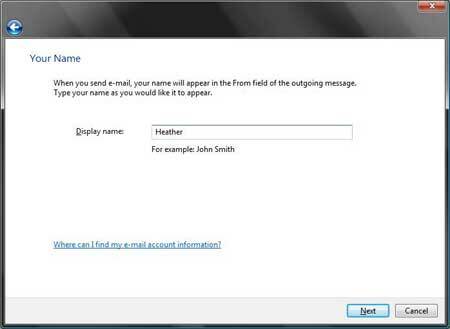 Enter what you would like people to see when you send them an email. Enter your Prairie Online email address. 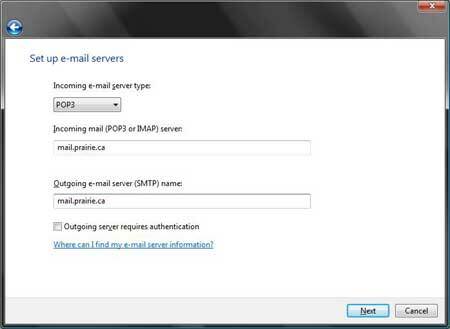 Example: *username*@prairie.caEnter the information as follows:Incoming server type: POP3Incoming mail server: mail.prairie.caOutgoing mail server: mail.prairie.caMake sure you have Prairie spelt P-R-A-I-R-I-E. 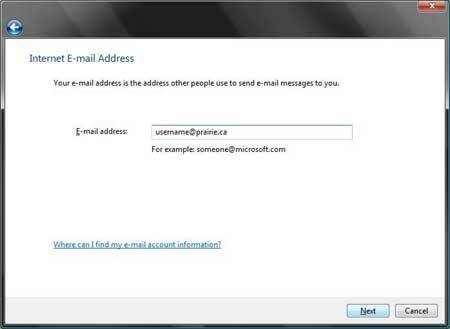 Your email username should already be put in for you.Enter your Prairie Online password. Make sure there is a checkmark beside remember password. Checkmark Do not download my email at this time.